The easy steps for sending a fax from your computer. 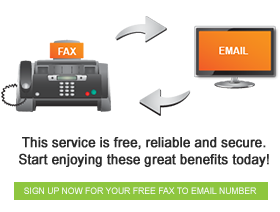 Fax FX allows you to easily and conveniently receive faxes for free, and gives you as many free fax numbers as you require. But did you know that you can also use Fax FX to send faxes? There are two easy methods which you can use to send a fax. This can be downloaded from www.faxfx.net/services/print-to-fax /. Click on the download image and save the setup file onto your computer. Then just open the setup file and follow the prompts of the easy-to-use Setup Wizard. This program allows you to send a fax from any program that allows you to print. Click on the option to print the fax using Print-to-fax Printer. Enter the number to which you want to send the fax into the Fax FX Printer wizard. You can decide whether to include a cover sheet by checking the box. You can preview the fax in its received form. Enter your Fax to Email account username and password. Click ‘Finish’, and you’re done! Open your email program and create a new message. Enter the recipient’s fax number, followed by @faxfx.net, in the ‘To’ field of your message. Attach the document you wish to fax. If you want to include a cover page, type it into the body of the email. Click ‘Send’, and you’re done! You will receive email notifications informing you of your fax’s status. And it’s as easy as that. As long as you have an internet connection, you can send from faxes from anywhere, and off multiple devices. Now that’s convenient.